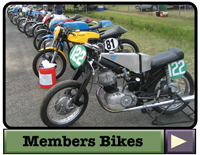 Incorproatng the Qld Historic Road Race Championships for Period 3 & Period 4 up to 500cc. Great Big Chill coverage in the latest Desmochronicle. Special events, Historic up to 399cc, Historic over 399cc & Historic survivors race. Link to event pics on Photo Albums page. More pics loaded 7/8/12. Link to pics on NCRR facebook page. Event story by webmaster Dave. Class results, Period 2 & 3, Period 4,5,6. Class winners with pics complements of Wayne Reed at Osella Photograhics. The members of NCRR celebrate another racing weekend away. 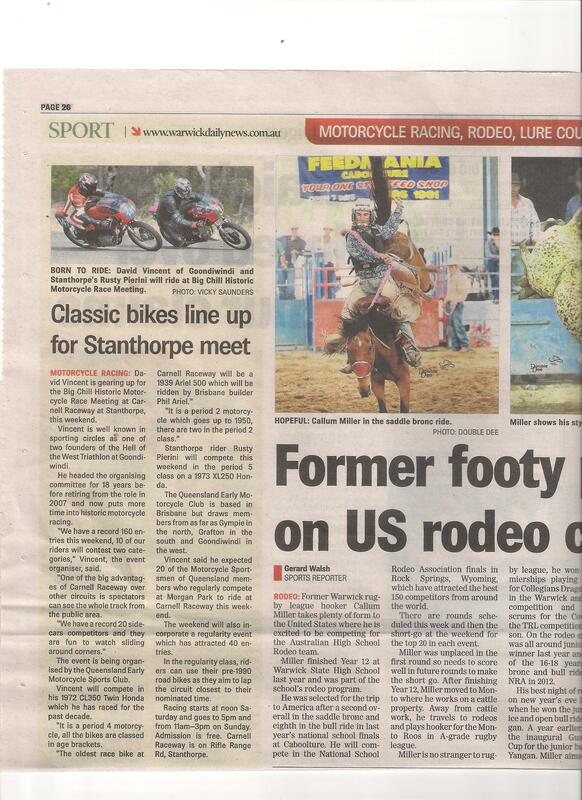 ************************************************* Stanthorpe 2010 "Big Chill"
Race report by webmaster Dave. Club secretary Bernie Summers drug tested????? Link to results & lap times. Qemsc members travelled to the tiny hamlet of Lobethal in South Australia to re live the glory days of European road racing. Read more. View pics of the event. & also an event report my Milto. Also another link to event pics by photographer Fiona Carmichael. Stanthorpe 2009. Thanks to some wonderful photography by Paul Cheshers partner Maria & also Michael Forsythe we have lots of pics from the weekend already on the site. Read regular Qemsc journo Ted Hayes article with his own special insights. 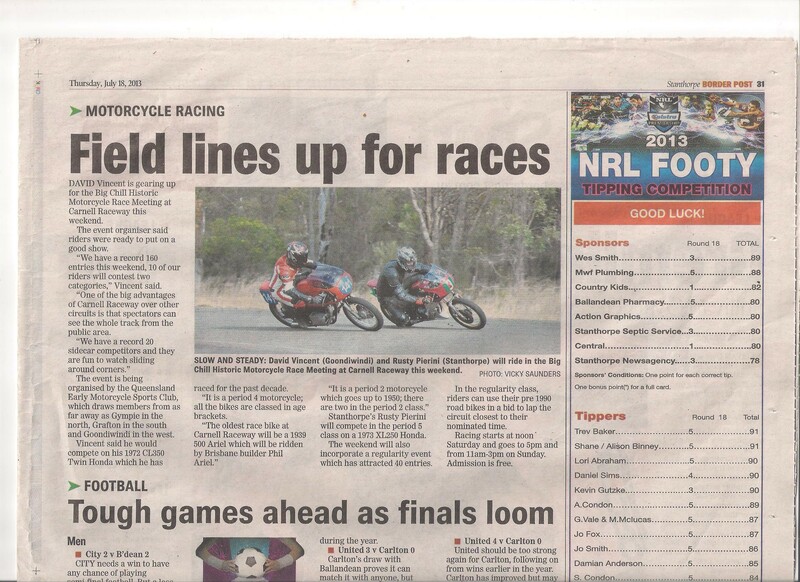 Also race reports from Graham Barker & first timer Anthony Barnard, a story that ran in the Stanthorpe Border Post newspaper & my own thoughts on the weekend. Anyone with a story or pics they would like published please email to myself at webmaster@qemsc.com.au Webmaster Dave. 2008 Philip Island Moto GP Historic support race.